Large scale outdoor murals, designed in response to the festival theme: myths and monsters with a tribal background theme. Designed to enable minimal waste and use of materials–built from previously cut and painted timber and sheets and leftover paint. 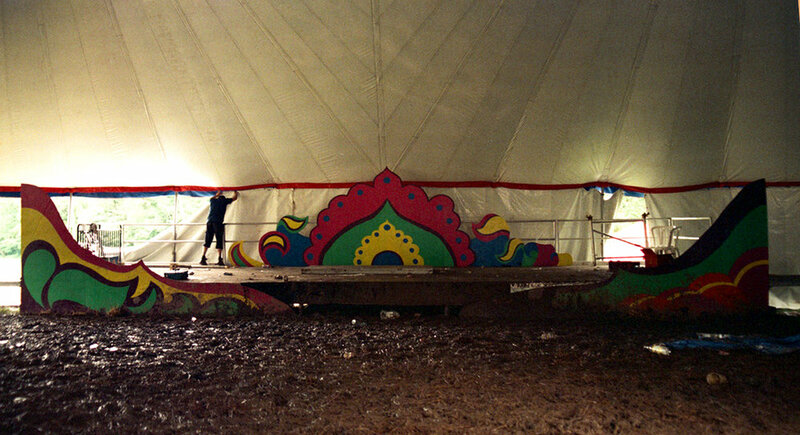 Backdrop design for the Fearless Theatre tent at Nova festival. 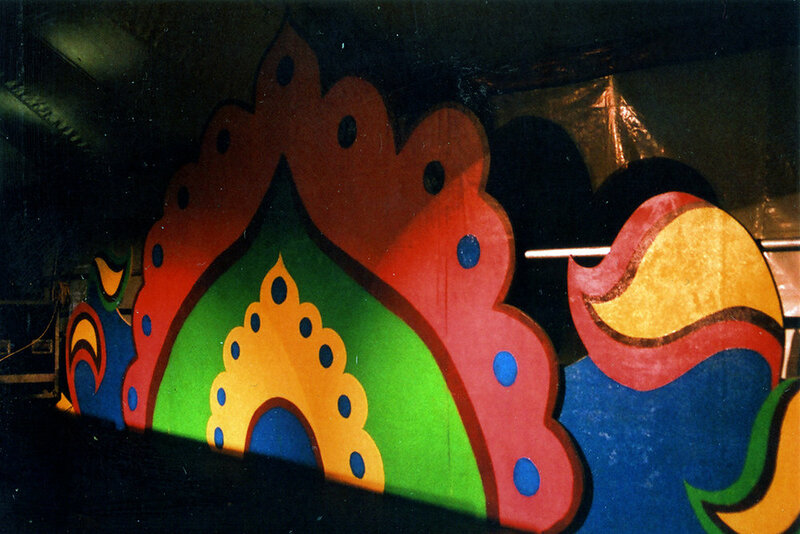 Fairground inspired backdrop to the 'fantastically eccentric comedy, cabaret and theatre' stage.